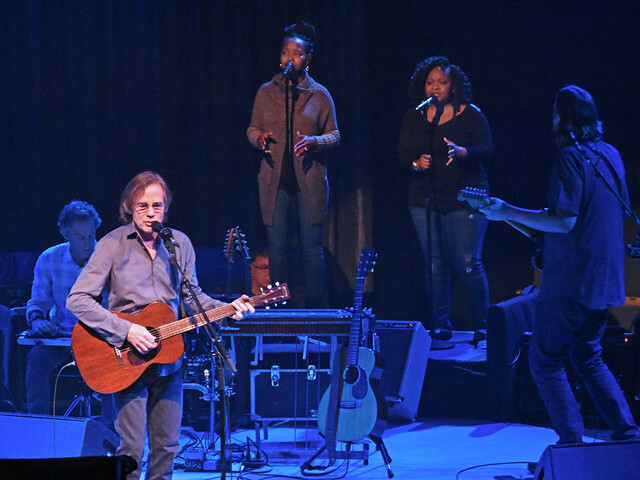 Jackson Browne Satisfies the Sold Out Crowd at the NYCB Theater at Westbury Reviewed by Diane Woodcheke on May 23, 2018 . Never let the quiet presence of someone fool you. As the saying goes, never judge a book by its cover, since you might be mistaken by the superficial design. Once you dig deeper, you may just be surprised at how powerful someone can be. 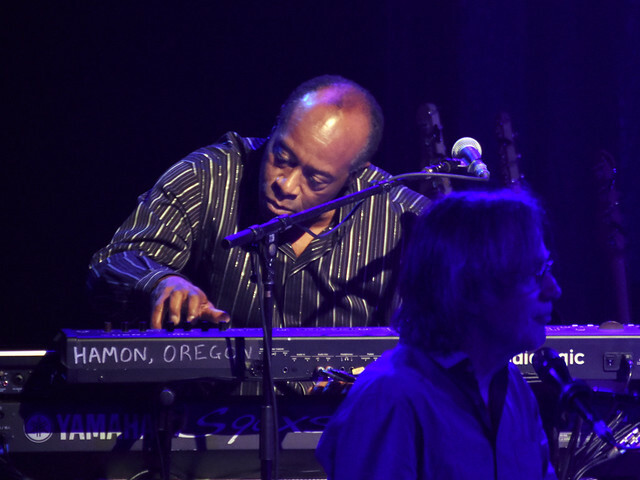 Jackson Browne is a fine example of what I am talking about. He is not loud and boisterous, but when he speaks, everyone listens. On the music scene since he was eighteen years old, now over half a century later, he is going stronger than ever. His compassion and patience comes through in everything he does. He remains true to his beliefs and in all the changing times, with changing trends, he has maintained his genuine style both in and out of the recording studio. Browne has sold well over eighteen million albums just in the United States alone. 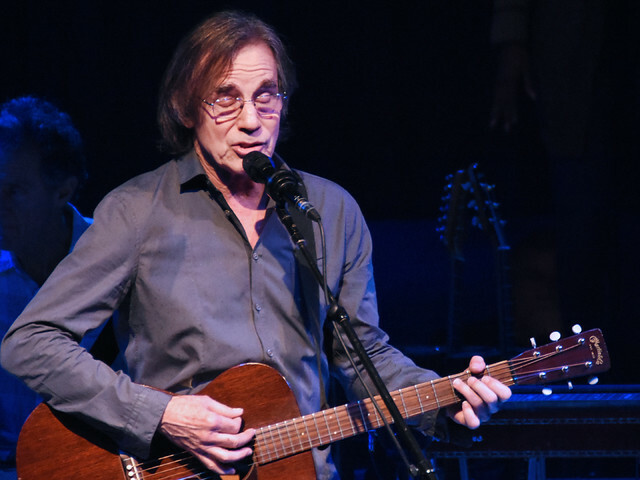 He had his first top ten charting hit, “Doctor My Eyes” off of his debut release, the self titled album, Jackson Browne, in 1972 and his career blossomed from there. Since then he has released a total of fourteen studio albums and four collections of live performances. In 2004 he was inducted into the Rock and Roll Hall of Fame, and in 2007 he was inducted into the Songwriters Hall of Fame. Recently, in 2015, Rolling Stone Magazine named him on their “100 Greatest Songwriters of All Time” list at No. 37. It can not go without saying that Browne is also well known for his advocacy on behalf of the environment, human rights and arts education, as well as being the co-founder of Musicians United for Safe Energy and Nukefree.org. Over his career he has performed at a countless amount of charity events, always lending himself to aid in the benefit of others in need or to raise awareness on environmental or social issues. 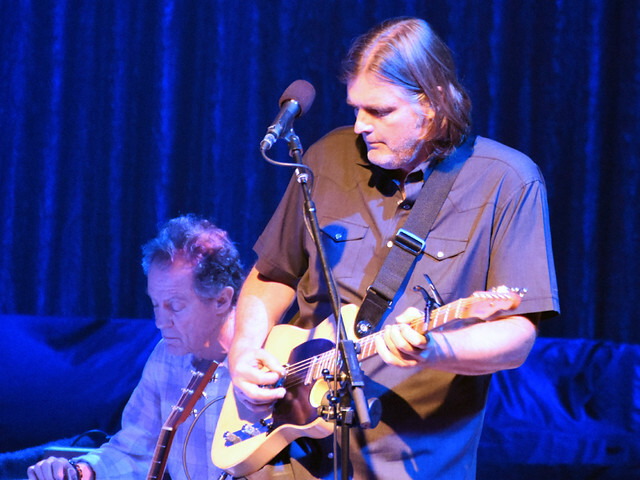 Currently on tour, Browne kicked off the North Eastern portion of his latest tour on May 2nd in Richmond, VA. 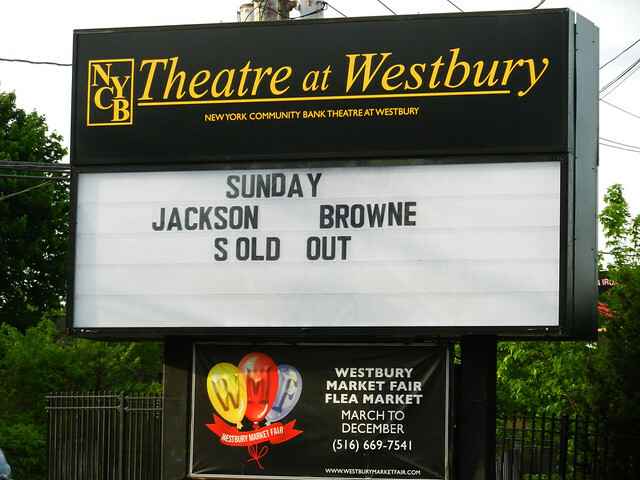 He made the final stop on May 20th, where they played to a sold out house at the NYCB Theater at Westbury in Westbury, NY. Upon entering the seating area of the venue you could not help but notice that the fog machines had been cranking for some time, which created a very smoky atmosphere. The usually full round arena was set up as a three-quarter round so there was curtains as a backdrop behind the band. Being a sold out show and no opening act, the seats filled up quickly and it was evident that most of the fans at this show have been following Browne for most, if not all, of his career. After taking a well deserved fifteen minute break, Browne and his band returned with “Looking East,” “Your Bright Baby Blues” and “In the Shape of A Heart.” And on the subject of hearts, he got them all pumping again as everyone was up dancing for “Somebody’s Baby,” after which Browne was all smiles and said “Thank you.” Even though some people sat back down for the next song, it did not stop them from participating as they sang along to “Red Neck Friend.” After “Boulevard,” Browne talked a little bit about “Never Stop” and even said, “I love this song.” After performing “Call It a Loan,” “I Am a Patriot” and the Warren Zevon song “Lawyers Guns & Money,” came the song so many were waiting for, Browne returned to the piano for “The Pretender.” While everyone was on the high of the last song he continued to escalate that feeling with “Running on Empty” as everyone was singing and dancing along. Browne thanked the audience several times and then they all left the stage but with all the roaring and cheering they could not stay away long. 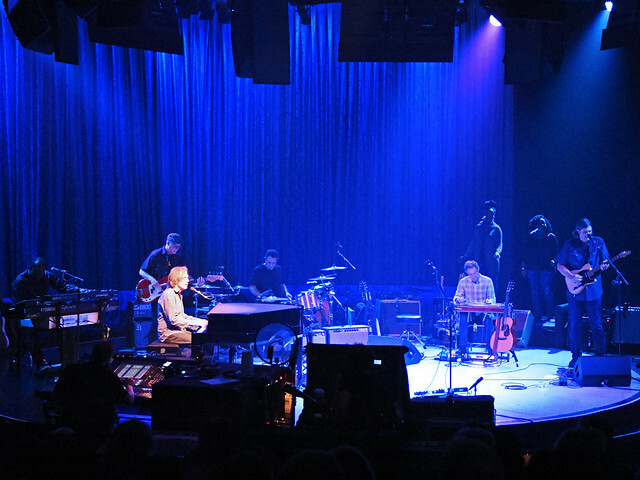 They concluded the night with a two-song encore with “Take It Easy” and “Our Lady of the Well.” Once the house lights came up for the final time it was completely obvious that everyone got what they came for as the look of satisfaction could be seen on all of their faces as they left the venue. 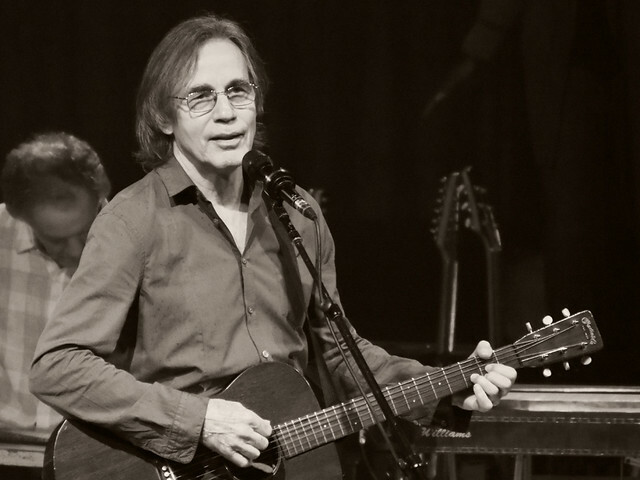 Simply put, Mr. Jackson Browne is an amazing performer; his voice is like no other. With such warmth to his tone along with his strength and power, he sings his lyrics with honesty and conviction. He surrounds himself with accomplished musicians so not only he shines but they do also. While the North East portion of the United States tour has come to a conclusion, the rest of the country will have their chance to see this legendary musician and his remarkable band as the tour commences on June 5th in Cincinnati, OH and continues on till early August where they will land in his home state of California. While the structure of the show remains intact, you can never be too sure what songs they will perform so each show is unique, be sure not to miss your opportunity to be part of it all.